InterTradeIreland says that growth isn’t widespread, despite signs of recovery. ONLY 30% OF businesses on both sides of the border said that they were in “growth mode” in the second quarter of the year. The percentage of SMEs expanding fell from 37% in the first three months of the year, according to a report by cross-border business group InterTradeIreland. While the fall was more pronounced in the North, InterTrade warned that “firms across the island are reserved about the employment and sales outlook over the next 12 months”. The president of the lobby group said that the business environment remains relatively fragile despite recent gains, and pointed to several factors that could be responsible for the dip in growth for some companies. This could be related to external factors, such as weak growth in the Eurozone market, or to the increased speculation about a rise in interest rates. Businesses also remain concerned about cost inflation and the linked and growing issues of cashflow and late payments. 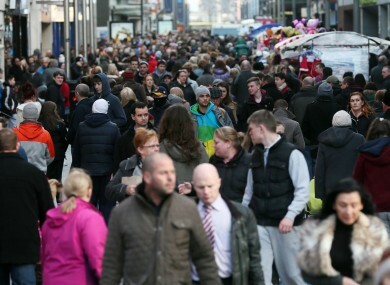 Despite the difficult environment, Magennis said that there are still signs of a broad-based recovery across the island, pointing to the fact that 11% of firms reported an increase in staff, with 37% of businesses surveyed tracking an uptake in sales. Just under 70% of businesses plan to invest in their business in the next year, with marketing and staff training the most popular resources to invest in. Almost one in five businesses said that they have a product suitable for export, but don’t sell on both sides of the border, or in other markets. The main factors holding back export were a lack of time or resources, the costs associated with entry into new markets, a lack of internal financial resources and a lack of awareness of available supports. Email “Drop in performance leaves just 30% of small businesses in 'growth mode'”. Feedback on “Drop in performance leaves just 30% of small businesses in 'growth mode'”.